A Boynton Beach mother is suing the company who makes Banana Boat sunscreen. She says one of their sprays caused her son's skin to blister. 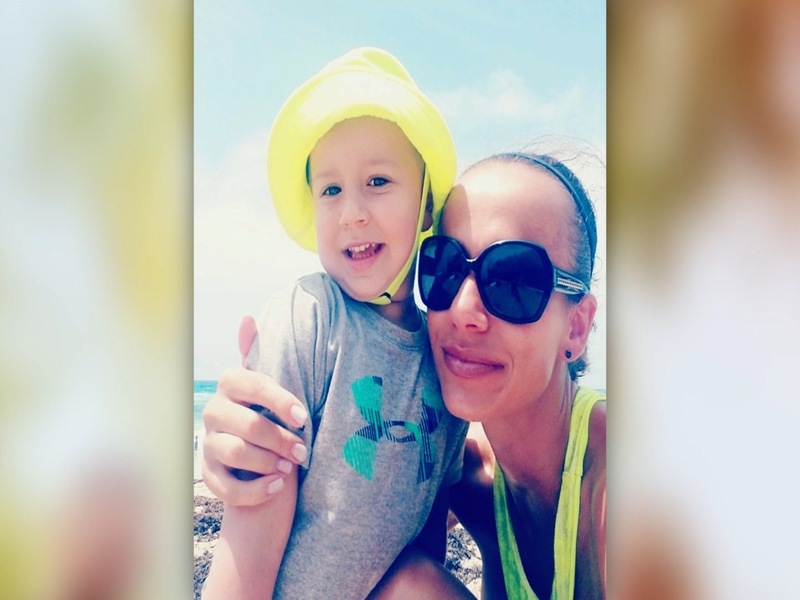 BOYNTON BEACH, Fla. — A Florida mother is suing the company who makes Banana Boat sunscreen. Agi Kiraga says one of their sprays caused her son's skin to blister. "It was Sunday afternoon. Me and my husband decided to take Jaden to the pool," the Boynton Beach, Florida, mother said. Having recently moved from Chicago, Kiraga made sure to put sunscreen on her then 2-year-old son. "I apply directly on the skin and then I spread on his body," says Kiraga. Kiraga says she used "Banana Boat kids, tear-free, sting-free broad spectrum continuous spray sunscreen" for the first time. She says it was about 4 p.m. when they went to the pool, and they only stayed outside for an hour and a half at most. Later that night, Kiraga says, "all of a sudden I saw some circle spot on his shoulder." She says it was in the spot where she had directly sprayed. "Next day, the spot was more red," the mother says. A day after that, Kiraga says, "it was bad. First, you had those blisters, then it was blistered where it ruptured. And then skin peeling off." Kiraga says her dermatologist told her he'd seen it before with that sunscreen. Although he did not see Jaden himself, dermatologist Reid Green, with Water's Edge Dermatology in Florida, says he's seen similar negative reactions to sunscreen before. "There are certain properties in the ingredients in some chemical sunscreens that are sort of activated by the sun," says Green. That causes irritation, an allergic reaction or other problems. Green recommends using zinc- or titanium-based sunscreen. "It means that instead of protecting the children from the sun, it’s actually causing a reaction to the sun as if someone put oil on their body," says Kiraga's attorney, Harris Katz, after he says he consulted with toxicologists. An internet search shows other parents around the world have complained too. Katz says they filed the lawsuit to get Banana Boat's parent company, Edgewell Personal Care, to put warnings on the label. "As a parent myself, I find it to be incredibly scary and unnerving that you can use a product like this and not know it’s dangerous until almost 24 hours goes after the application," says Katz. Jaden has a scar where the blisters once were. "I brought in this world a healthy kid. And just because this company didn’t put in a warning, it’s painful to him," says Kiraga. WPTV reached out to Edgewell Personal Care and their lawyer, but they did not respond. Part of the lawsuit claims that Edgewell is falsely marketing a safe product. Edgewell's lawyer filed a motion to dismiss in court, saying that part of the lawsuit should be thrown out.